How far can love endure? Noah Calhoun has just returned from World War Two. Attempting to escape the ghosts of battle, he tries to concentrate on restoring an old plantation home to its former glory. And yet he is haunted by images of the beautiful girl he met there fourteen years before, a girl who captured his heart like no other. But when these distant memories begin to slide into reality, the passion that had lain still is ignited once more. Though so much is in their way, the miraculous force of their love refuses to fade. 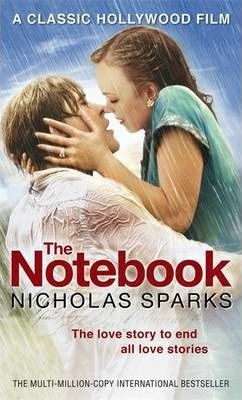 The Notebook was only the third novel in recent history to spend over a year as a hardcover best-seller? The title for the novel was chosen by Theresa Park, Nicholas’s agent?